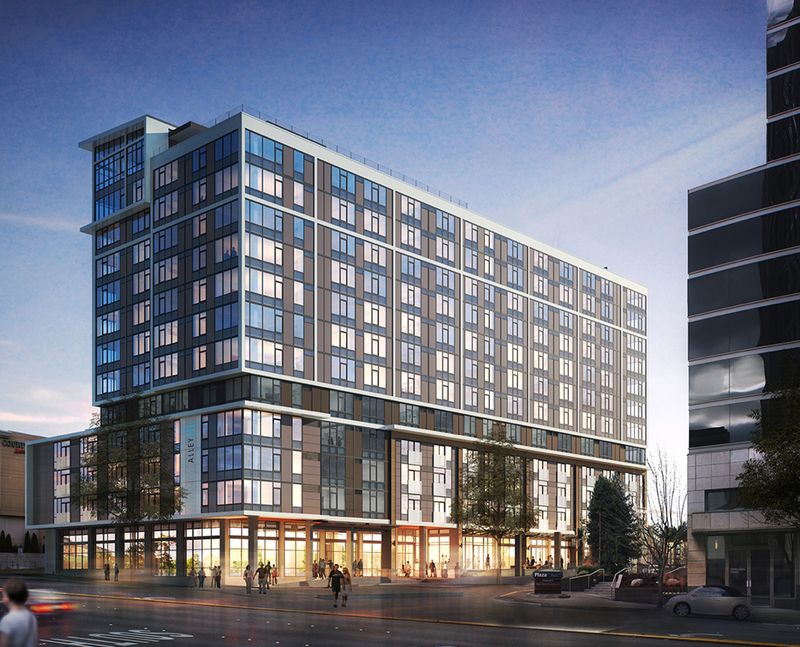 Alley 111 is an irreplaceable multifamily development project in an outstanding and affluent Bellevue location. It consists of 243 residential units, +/-3,600 square feet of pedestrian level retail space, and below-grade parking for 248 cars. The project is currently under construction with a completion date of Fall 2015. The total built area of the project will be approximately 302,164 gross square feet. The site provides excellent access to Interstate-405, a major north-south arterial within Seattle’s coveted “Eastside” area, as well as to Highway-520, which provides direct access to Seattle. Alley 111 capitalizes on its ideal proximity to Bellevue’s major employment bases including Bellevue’s CBD and Microsoft’s Redmond Campus. It is also ideally situated just four blocks east of Bellevue Square, and directly across the street from The Bravern, a mixed-use development project featuring 750,000 square feet of office space 100% leased to Microsoft, and 300,000 square feet of retail space including a 125,000 square foot Neiman Marcus.